The European Public Health Alliance (EPHA) and the European Patients Forum (EPF) have today called on the European Commission and national governments to step up the fight against drug-resistant infections. The call coincides with today’s European Antibiotic Awareness Day and follows on from the announcement of the EU Action Plan on Antimicrobial Resistance, which has been announced for 2017. The organisations have said that without coordinated international policy action, 10 million people will die every year as a result of drug-resistant infections by 2050. This is despite the European Commission still referring to estimates that put the European death toll related to drug-resistant infections at 25,000 people annually. For patients, the loss of effective antibiotics would complicate or even prevent many medical procedures that we take for granted today. From organ transplants to chemotherapy and childbirth, Europe risks a return to the dark ages of medicine, where routine interventions become dangerous in themselves and continuity of care is compromised. The latest reports from the European Centre for Disease Prevention and Control show increasing combined resistance to several types of drugs, as well as to last resort treatments. 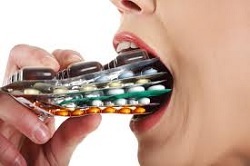 For patients infected with multidrug-resistant bacteria, fewer treatment options are available, the treatment may take longer, come with more complications and entail with worse side effects, for example, when using older antibiotics as a last resort, such as colistin. Those patients are three times more likely to die from a simple infection that would previously have been easily treatable.